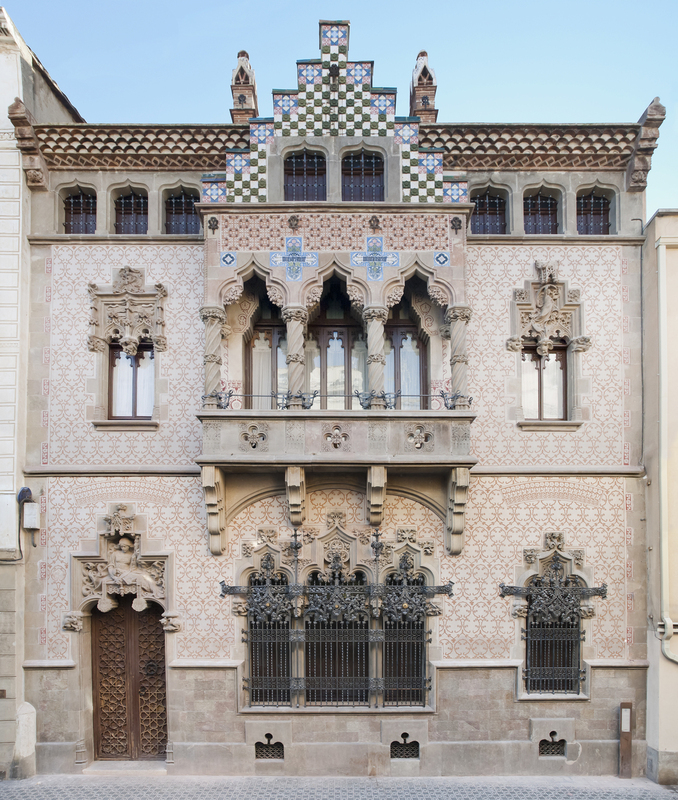 Casa Coll i Regàs is the most iconic Modernist building in Mataró, built by architect Josep Puig i Cadafalch, who designed it under commission from the textile entrepreneur Joaquim Coll i Regàs for his new residence on Carrer Argentona. It currently belongs to the Fundació Iluro. Puig i Cadafalch planned to join together two cases de cós, a typical kind of house in Mataró. As of 1898, the building was made up of a basement for the domestic help, a majestic ground floor, bedrooms on the first floor, an attic and a turret. The bedrooms are spread around the edges of an atrium with a skylight that illuminates the middle part of the building. Puig i Cadafalch designed the decoration and iconographic programme to honour his client, a distinguished member of the local Mataró bourgeoisie and part of the Regàs family, textile spinners and knitting and hosiery manufacturers.